ABOUT: ONE LP is a project by photographer William Ellis in which musicians and other people in the arts are portrayed with a favourite album and tell why the recording is so significant to them. The project commenced in 2010 as a response to conversations with musicians about their relationship with the work of other artists encountered via recordings. In particular, conversations had focused on the albums that had profoundly moved the subjects. As a conversation is of course transient – usually committed only to memory - I was eager to find a format that would adequately document my interactions with the artists. 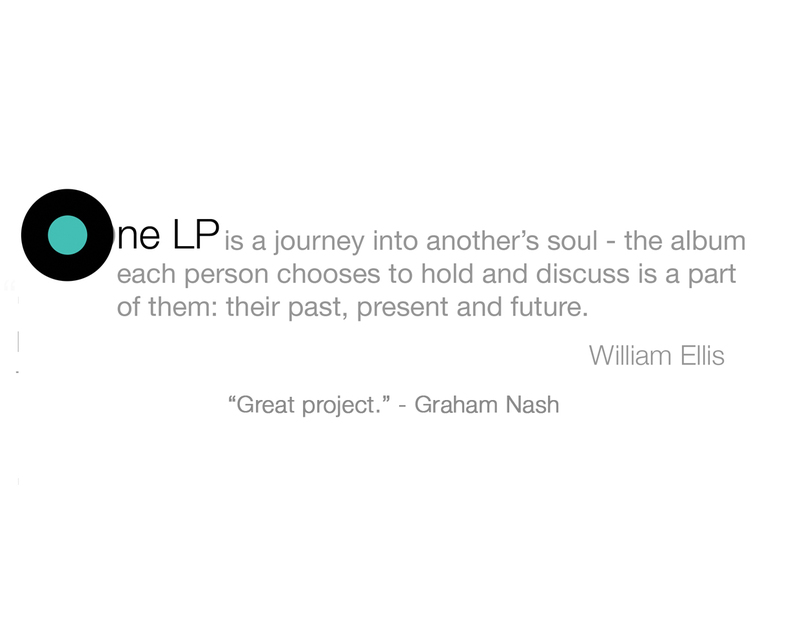 The One LP series is the outcome - something that excavates layers of memory, influence, being and uniqueness. Perhaps more poetically, One LP has come to represent a journey into another’s soul: the album that each artist selects is a part of them: their past, present and future. The premiere exhibition was held in New York at the ARChive of Contemporary Music.